It seems like STAR TREK The Art of the Film is both mindful of the franchise's long history, yet able to peer into the new film's world with a fresh eye. I know of your experience writing behind-the-scenes books like this one. But I'm curious about whether you ever had more than a casual knowledge of Star Trek. I saw the original TV series as a kid and, of course, in syndication. How did that inform your approach for writing this book? For the "art of" book on J.J. Abrams' movie, I was mindful that the book was about the new movie, not a reflection on the TV series. However, the filmmakers were inspired by the original TV show and its roots in the Apollo Space Age era. Indeed, their narrative approach allowed them to plot new adventures using the original characters while allowing the canon to retain its integrity. It seems like you had unlimited access to the design sketches, photos, and notes. As a writer for this type of book, how much input do you have into the layout design elements for the book? Is your part strictly limited to the captions and body, or are you deeply involved in the selection of photographs? 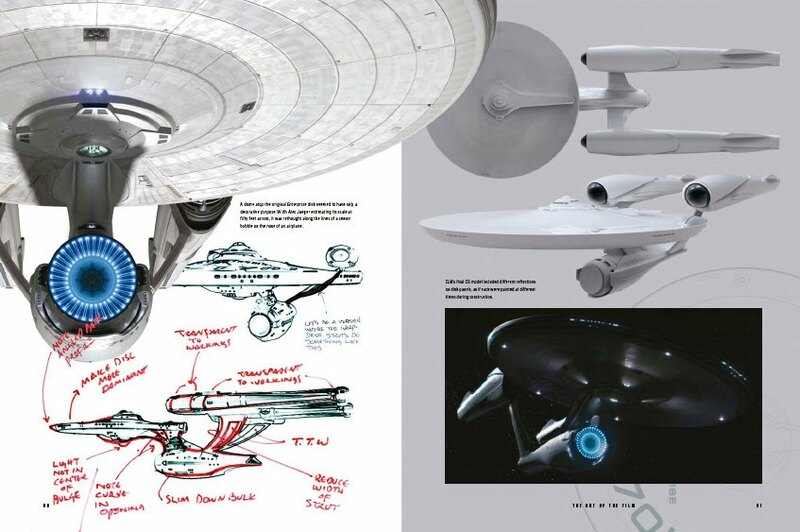 I have selected images for some of the past books I've worked on, but Titan and [Abrams' production company,] Bad Robot selected all of the images for STAR TREK The Art of the Film. 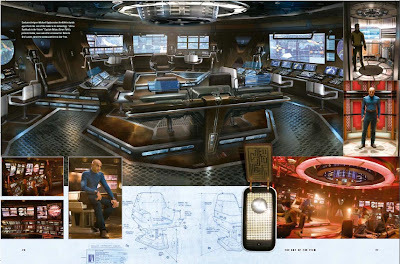 However, I was always in the loop, getting image files as they were developed, a selection process which evolved based on feedback from J.J., production designer Scott Chambliss, and others. It was, of course, vital that I know the images as I was writing text to match, in addition to the preface and opening and closing essays. I didn't really have input for the selection of pictures, although I had the occasional question or comment. For other projects I've selected and organized all the visual material as I thought they should appear on the page (including my Tales of the Dark Knight and Industrial Light & Magic: Into the Digital Realm). However, a book's production designer always has the final word on layout. Was there anything you liked that there just wasn't room for in the book? If so, do you believe there's enough material to warrant publication of a second volume should this one be successful? Although there was art enough to have a bigger book in page length, I think this edition does an admirable job in providing an overview of all the conceptual challenges and evolution of design ideas. Ultimately, you can't show everything, and it's best to make the hard decisions as to what image selections and topics are representative of the work. Is there a film you personally like that you wish were popular enough for you to tackle in a behind-the-scenes type book like the Star Trek one? Most "art of" or "making of" books deal with current releases. I suppose Avatar would be my pick for a recent movie I'd have liked to chronicle. Are there any other books you're working on at the moment? Currently, I've been writing the movie companion books for the Twilight Saga films. I'm also working on a book on the untold story of Pan American Airways and trying to get a publisher for a book I've completed on America's segregated units of World War II. 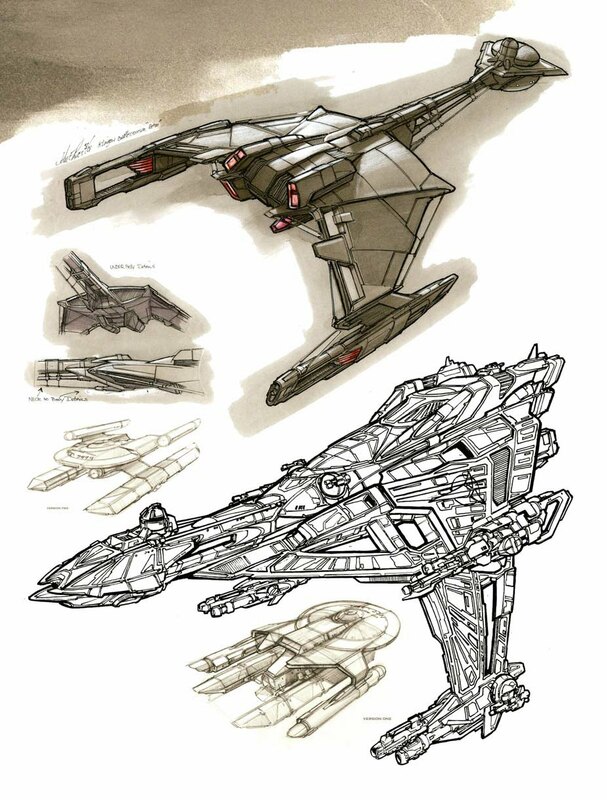 All Images for STAR TREK: THE ART OF THE FILM. © 2009 Paramount Pictures Corporation. ® and © 2009 CBS Studios Inc. STAR TREK and related marks and logos are trademarks of CBS Studios Inc. All Rights Reserved. Titan authorized user. All Rights Reserved.